My second day in Naga was extraordinary. I always thought that Naga is just all about food trip and church hopping. Months before my scheduled trip to Naga, I have already coordinated with the city tourism office for their assistance. I thought they would only show me around the city and do the usual Naga itinerary. 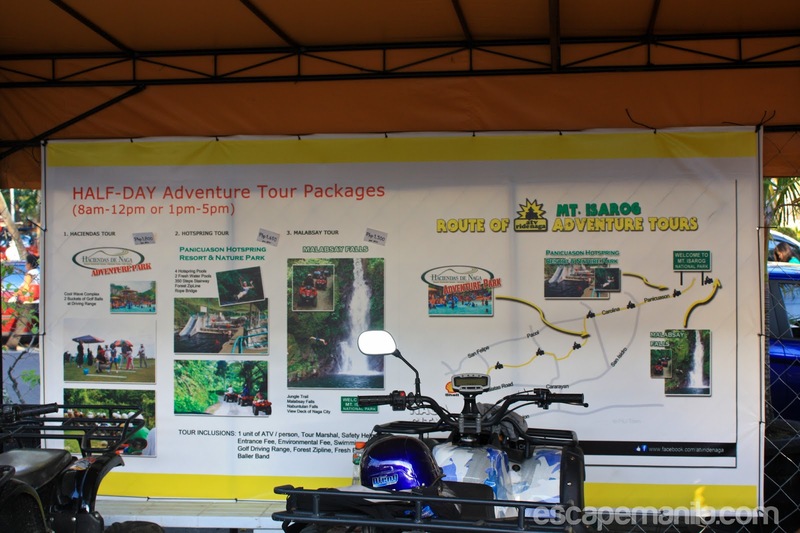 Then, I was advised that I will be riding an ATV going to Malabsay Falls. I got really excited because it will be my first ATV ride. 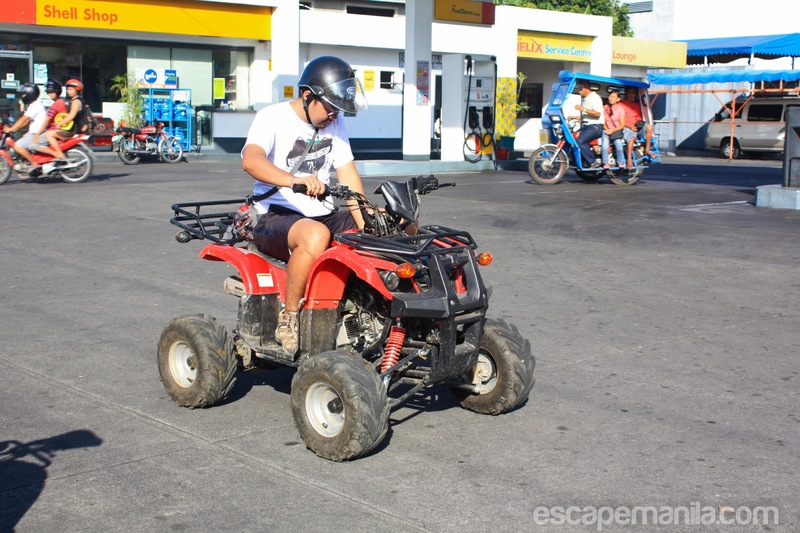 The rendezvous was at the ATV Ride Naga terminal located at Crossroad Shell Station, Magsaysay Avenue, Naga City. I did not know the folks that I’ll be with during that day until a familiar face showed up and turned out to be a fellow Pinoy Travel Blogger, Kara of Travel Up. 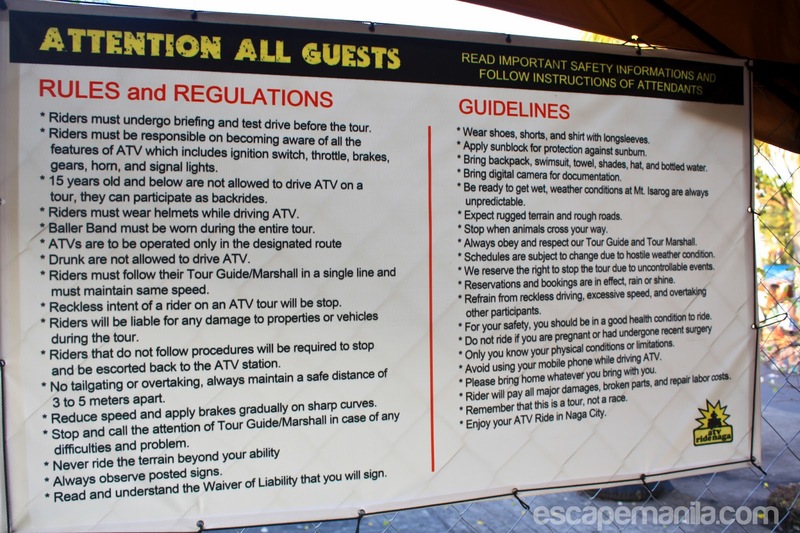 Before we started driving our way to the Mount Isarog National Park, we had a short safety orientation and test drive. I thought it was difficult but it wasn’t. It was pretty much easy to drive an ATV. 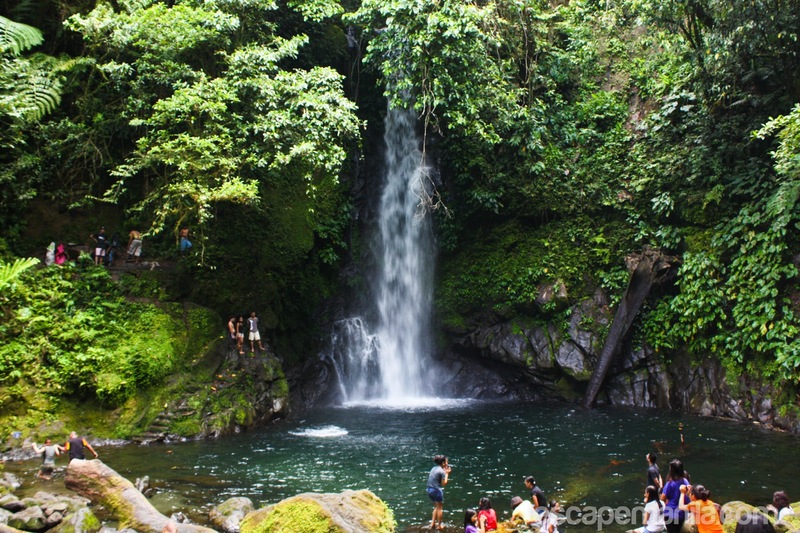 After the test drive near the Basilica church, we continued our journey to the Mount Isarog National Park where the Malabsay Falls is located. It was a mix of cemented and rough road going uphill. I found myself struggling a bit going up. Thanks to the people I was with, they were able to help me out reach our destination. Malabsay Falls is located near the entrance of Mt. Isarog National Park. It is about 5-10 minutes trek down the mountain. Going down was easy but going up was another story. After few minutes trek, we reached the Malabsay Falls. We dipped into the water. The clear water from the basin of the falls was freezing and refreshing just what I need after a hot and dusty journey ride to Mt. Isarog. 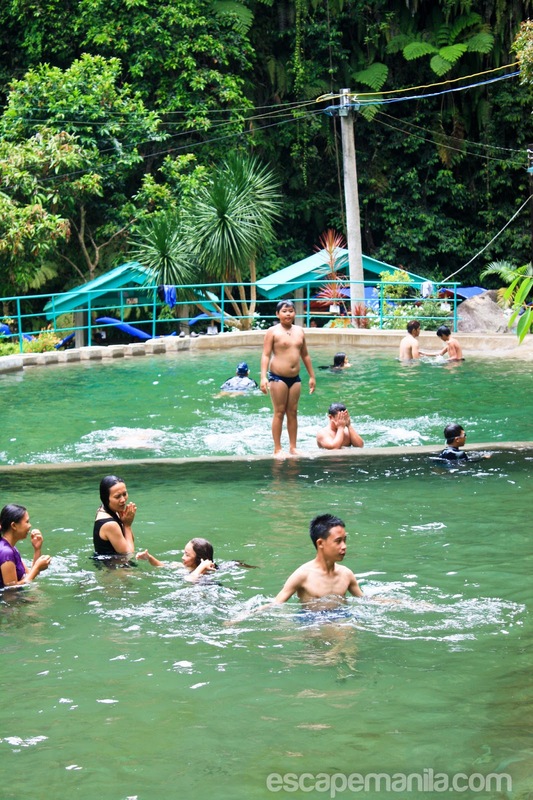 After swimming in the cold waters of Malabsay Falls, we drove down to Panicuasan Hotspring Resort & Nature Park to have our lunch and try some of their activities. The staff were preparing our food so we have decided to try their zip line before lunch. I found out later that it was a good decision otherwise I could have thrown up. I have tried quite a lot of zip lines but that one was different. I was kinda nervous and had second thoughts but since I was already there I decided to go for it. It was different, I felt like I plunged. It was only seconds drop from the top. After the zipline ride, we took our lunch, rest a bit and enjoyed the warm water of the hotspring. It was a relaxing afternoon in the hotspring. On our way back to the city center, we stopped by an eatery to taste their version of kinalas. It was my first time to try it and I kinda like it. Kinalas is a popluar noodle soup in Naga cooked in a broth skinned pig or cow’s head and boiled until the meat falls off. It was indeed an awesome adventure in Naga. It was definitely one of the highlights of my 50-day backpacking trip in the Philippines. 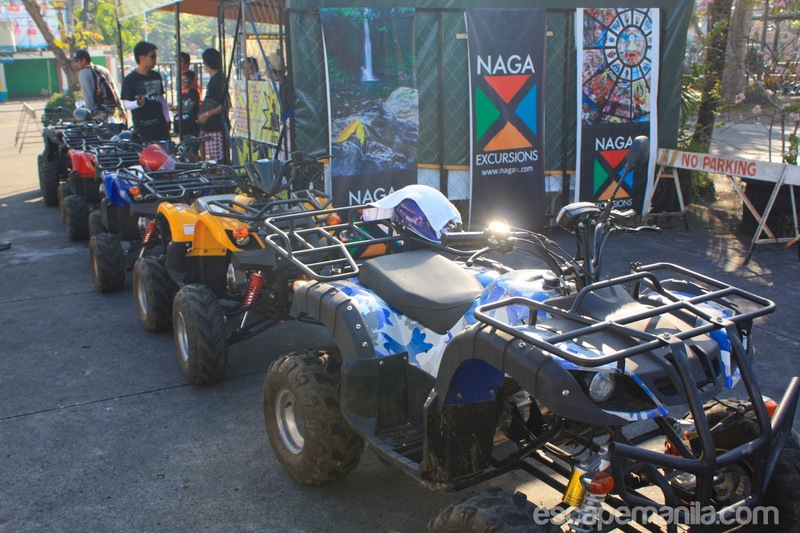 This trip was made possible by the Naga City Tourism Office, Naga Excursions and ATV Ride Naga. Please see below photos to know more about their packages, rates and contact numbers. 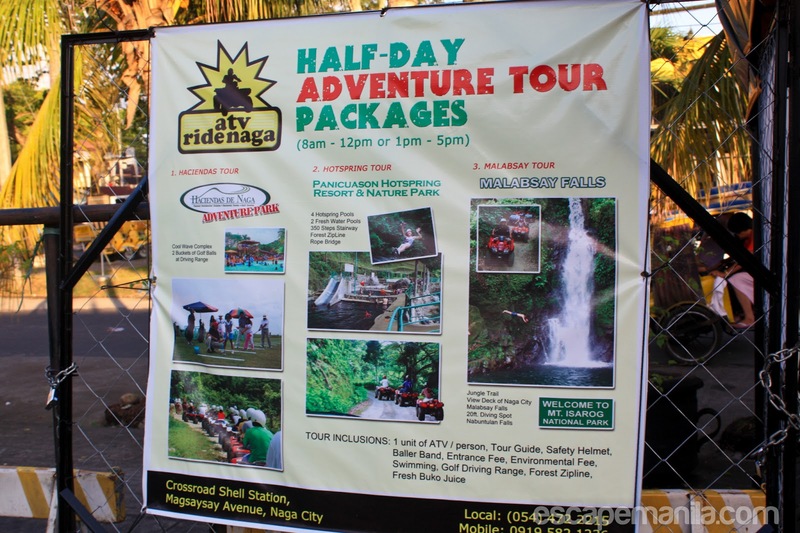 If you want to experience the other side of Naga, I highly recommend for you to try the ATV Ride. Definitely worth it! Contact them now. *Some photos are courtesy of Peachez Sancho Ladoc and Naga Excursions.